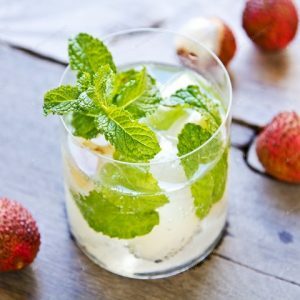 All it takes is easy-to-make lemon syrup to create dozens of delicious frozen lemonade cocktails that your guests will love. 1. Combine the ingredients in a blender. 2. Cover and blend until the drink is thick and smooth. Apple Lemonade Slosh Reduce the vodka to 2 ounces. Add 2 ounces apple schnapps before blending. Apricot Lemonade Slosh Reduce the vodka to 2 ounces. Add 2 ounces apricot brandy before blending. Banana Lemonade Slosh Reduce the vodka to 2 ounces. Add 2 ounces crème de banane before blending. Black Current Lemonade Slosh Reduce the vodka to 2 ounces. Add 2 ounces crème de cassis before blending. British Lemonade Slosh Omit the vodka. Add 4 ounces gin before blending. Dixie Lemonade Slosh Omit the vodka. Add 2 ounces bourbon and 2 ounces Southern Comfort before blending. Double Lemonade Slosh Reduce the vodka to 2 ounces. Add 2 ounces lemon liqueur (such as Limoncello) before blending. Feel free to comment or share your thoughts on this Lemonade Slosh Recipe from Awesome Cuisine.